Suryachaur Cycling tour is a newly designed package for the people who want to go for cycle ride. This is one of the cheapest and most enjoyable journeys. Suryachaur with an altitude of 1925 m is located is in the Northern part of Kathmandu Valley. Suryachaur is the highest hill which lies quite close to the Kathmandu City. It lengths around 10 KM away from the Kathmandu city. It’s addressed in the beginning of Gurje Bhanjyang. Your journey with us begins from Shorhakhuttey Chowk near the Heart of Kathmandu i.e Thamel. We will be setting our journey with the route of Kakani drive which takes around 1 and half hour. After we reach to Kakani Memorial Park the real hike begins. The target is Suryachaur Hiking through Shivapuri National Park. 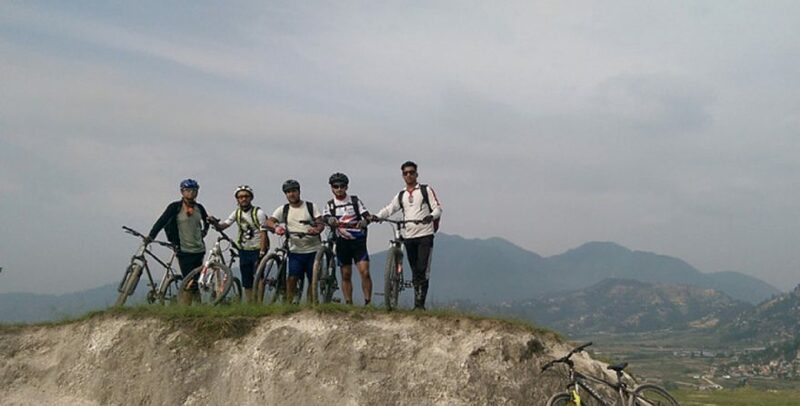 After 2-3 hours ride we will reach the check post 2-3 minutes before reaching Gurje Bhanjyang. . Your excitement of the hike will rise like a volcano and you would definitely be curious to see the amazing scenery whole around you. After 15 m walk you will finally reach Suryachaur. There’s a high tower around 22 m long. If you are not afraid of height but want to see the thrilling scenery from the top than climb the tower. Make you are safe and not afraid. The target is Suryachaur Hiking through Shivapuri National Park. After 2-3 hours hike we will reach the check post 2-3 minutes before reaching Gurje Bhanjyang. Than the best part of the hike starts you will be hiking observing several mountains half a side. . Your excitement of the hike will rise like a volcano and you would definitely be curious to see the amazing scenery whole around you. After 15 m walk you will finally reach Suryachaur. There’s a high tower around 22 m long. If you are not afraid of height but want to see the thrilling scenery from the top than climb the tower. Make you are safe and not afraid. The Annapurna Circuit with the best! I first used Bharal Adventures three years ago when Arjun was my guide for my Everest Base camp trek. Arjun was very genuine, friendly and knowledgeable about the area and I felt very relaxed and in good hands. I adored the holiday and the beauty of the Himalayas so decided to return to Nepal again. 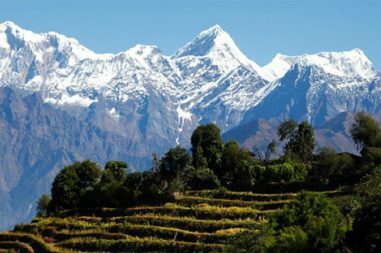 This time to trek in the Annapurna region. I of course chose Bharal Adventures to be our tour guide company again. This again has been a fantastic experience. trip to the fullest. I would recommend this company and this guide to anyone. He loves his country, its mountains and his job and it shows. A thoroughly great holiday, thank you Arjun and Bharal Adventures! Nothing prepares you for the Himalayas. Waking up every day to 5-mile high mountains is one of the most humbling and incredible experiences of my life. As a frequent traveller, this was my first time to Nepal, so I wanted to be sure my experience was going to match my expectations. On arrival, Arjun from Bharal was there to greet my partner and I with a smile - which he kept all week. Even when we were snowed in along the pass; walking slowly up the mountains and laying in a little too long - Arjun always made sure our needs were prioritized. I thoroughly recommend Arjun and Bharal. I came to Nepal as a tourist, to meet a guide and a porter. I left with 2 friends, incredible photos, lifelong memories and a promise we will return one day, with my daughter to tackle the incredible Manasalu! Amazing trek in Kanchenjunga region! Last November I traveled to Nepal to visit the remote area of Kanchenjunga. I'm from Spain and did the Kanchenjunga circuit (North and South base camps) with my Indian friend. After many mails sent to several trekking companies based in Kathmandu we only received overpriced offers, until we finally met Arjun, the manager of Bharal Adventures, and our expectations changed immediately. He provided us with reliable information, answered all our mails quickly and carefully and made an itinerary to suit us at a very reasonable cost, exactly what we were looking for since a long time. Once in Kathmandu, his partner Bijay came to the hotel to introduce himself and give me some instructions before the trek and all the assistance I needed. The day before the departure, Arjun and Bijay invited us to have dinner at their home to offer us a warm welcome, they were really friendly. As per the trek itself, our guide had good experience in the Kanchenjunga region and managed all the situations in a solvent way. Besides, we were very lucky with the weather and could enjoy the trek with its stunning views. It was really a fantastic experience. Once the trek finished, Bijay and Arjun came to my hotel to be sure we received a good service during the trek and say goodbye. I can only recommend this trekking company to all the people traveling to Nepal. You will not be disappointed. Our journey started in 3 different cities in Malaysia, 6 travellers in all - Myself and my good friend Ray started out from Johor Bahru, Suk(the only female in our group) & Ricgen's journey started from Mallaca, the 4 of us met with See and Su in their home town of Kuala Lumpur, (KL) Malaysia. 6 of us met in KL and departed from KL international airport for Kathmandu Nepal. where Arjun Dhakal met us at the airport and we transferred to our hotel and finalised all details for the EBC trek. The next day we flew out to Lukla and this is where the real adventure began. The actual trip is a story for another time all I will say is that this adventure was absolutely amazing in fact so amazing that I'm contemplating doing ABC with Arjun next year sometime. Arjun and his team were very professional, his personable character allows for a very relaxed but very organised approach to everything during our trip. The EBC adventure was one of the most amazing adventures I have ever experienced I would add that this trip rates equal to The Kokoda trek I completed in Papua Nuigini. The incredible Kanchenjunga circuit with Bharal Adventure ! We were two persons intending to trek in the remote and restricted Kanchenjunga region. I am an Indian and was with a Spanish friend. After not getting positive responses from various organizations or getting quoted very high prices, we landed on Bharal Adventure. And it was a great experience right from the beginning. The extremely polite Arjun answered all of our queries patiently, tailored the itinerary according to our requirements and finally helped us with a knowledgeable guide for this 22 day trek. And when everything was done at a reasonable cost, we couldn't ask for more. The superb weather and views during the trek added to everything and the overall experience was fantastic. Highly recommended for all your adventures in Nepal ! Going to the Everest Base Camp was once an impossible dream to achieve. With Bharal Edventure, the impossible dream comes to a reality. Mr Suraj, our guides, Ganesh and friends who made it possible for me to reach the EBC. I would not be able to go through the tough journey with extreme environments without their help and encouragement. Thank you very much for the hospitality given by Bharal Adventure especially Mr Suraj and Mr Arjun. Thank you so much for making this once impossible dream become possible. This is truly the most valuable experience I ever have. Lead by arjun and 7 porters to bring 14 of us to amazing journey to annapurna base camp. Very friendly and helpful. 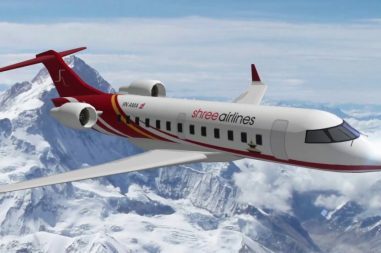 Received first class services from them and the porters also friendly and hardworking.Sure to look back for them for the next trip to nepal. Da jeg rejste alene, var det vigtigt for mig, at få afklaret alle spørgsmål. Arjun var meget behlælpelig og tålmodig med at besvare alle mine spørgsmål inden trekket. Selve turen var en super oplevelse. Deepak var vores guide. Han er en meget sympatisk, sjov og hjælpsom ung mand, der hele turen havde god føling med, hvordan det gik undervejs. Vi havde mange gode snakke om hvordan livet er i Nepal, for tidligere generationer op til i dag. Det var en fantastisk oplevelse. Everest view Trek mit schnen Aussichten und einem Guide, der auf alles achtet. Ich crate immer wieder in Nepal , nur habe ich mich in solche Hhen noch nie getraut. Es braucht schon etwas Vorbereitung , denn man muss fit sein fr thus ein Vorhaben. Schon allein der Flug nach Lukla ist ein Abenteuer fr sich . Man sieht Berge und Menschen , die mit wenigen Worten nicht zu beschreiben sind . Mit Suman act ich auf einen wunderschnen Weg unterwegs .Jedes mal, wenn er merkte, dass ich an meine Grenzen gekommen box, wurde erst mal eine kleine Rast eingelegt, in view of that dass ich mich immer wohl und gut aufgehoben gefhlt habe. So konnte ich den ganzen Weg geniessen. Vor allem suit ich sehr fasziniert, wie die Menschen da oben leben und wie herzlich sie doch sind. Der Weg alleine, ist mit all seinen Aussichten und seiner Geschichte , diese Reise wert. Noch einmal vielen Dank fr die liebe Beratung und einen Freund, der mir immer zur Seite gestanden hat. I went to Nepal on a 9-day trek in the Langtang region a couple years ago. I was traveling on my own so I really appreciated to be with a trustworthy and friendly guide Sujan. I would definitely recommend his agency and would like to go back myself!